Why having Demonstration projects? What can we learn from such projects? What are their crucial elements to success, and how can these be utilised? Demonstration projects are an indispensable practical addition to the policy perspectives provided by the Support Mechanism (SWIM-H2020 SM) because they provide the means to introduce and experience innovative ideas and approaches and prepare the way for replication and up-scaling through visible accomplishments and lessons of experience. Learning from successful Demonstration projects will improve decision-making, prevent the recurrence of project dysfunctions and contribute to the continuous improvement of results. But their biggest added value is the integration of proven best practices and lessons learned to improve the design and implementation of the project or other related projects and programs. 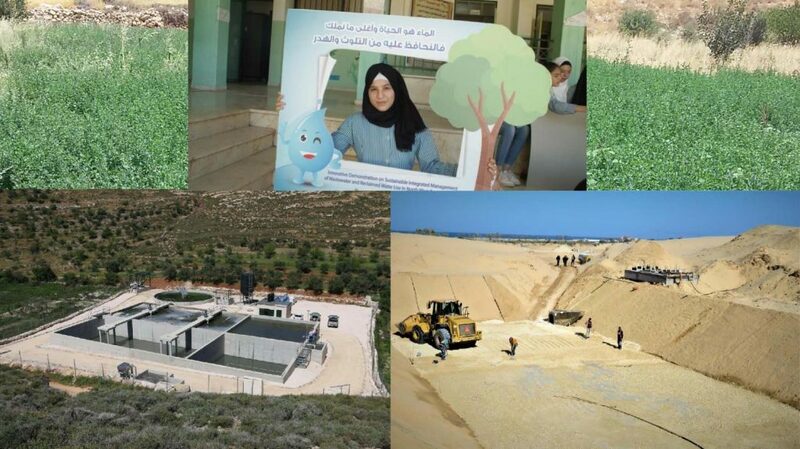 Three Phase II SWIM Demonstration projects related to small scale wastewater treatment plants are being implemented in Palestine (2017-2020), linked with treated wastewater reuse in agriculture. Their overall objective is “to contribute to more sustainable water and environment management practices in Palestine”, being directly linked to SWIM-H2020 project’s overall objective “to contribute to reduced marine pollution ad a more sustainable use of scarce water resources in the ENP South Countries”.